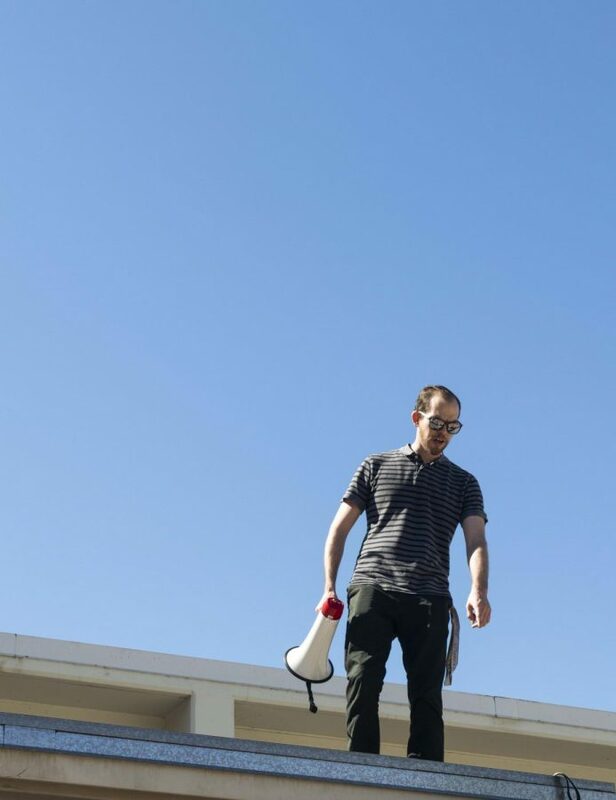 Mr. Axelgard and Mr. Pruitt prepare for the senior barbeque. On a blazing Friday morning, the Class of 2019 was released early third period to take the iconic “19” senior panorama photo and later filled the auditeria for a brief info session on their upcoming Catalina Trip. 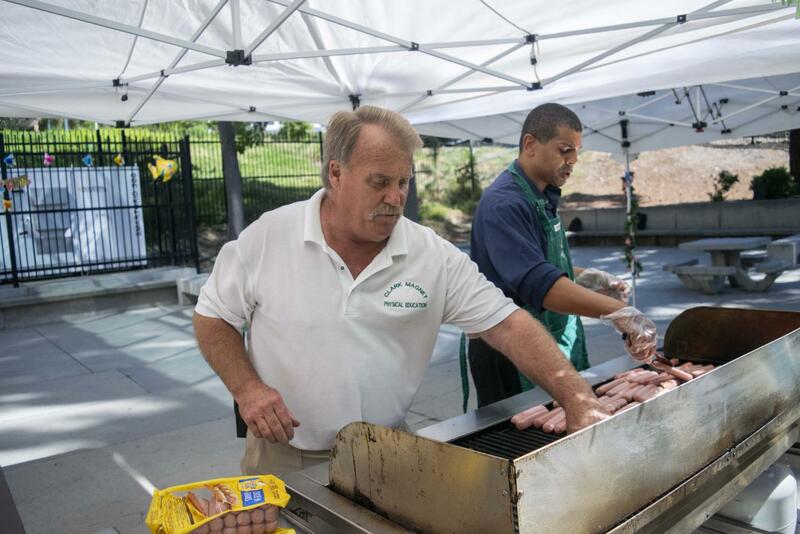 Meanwhile, English teacher Conrad Pruitt and PE teacher Chris Axelgard were grilling hot dogs for the annual senior barbecue. 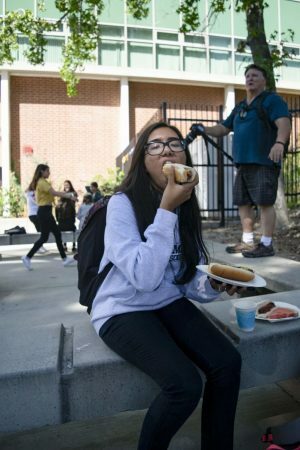 After sitting through the info session, seniors were released into the patio to enjoy the freshly grilled hot dogs as well as the ice tea and other desserts provided by ASB. Senior Sangam Sharma grabs a freshly grilled hot dog from Mr. Pruitt at the senior barbecue. 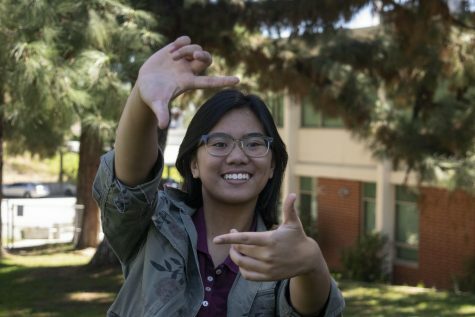 But not only did the senior barbecue mark the beginning of the end of the Class of 2019’s high school career, it also mark a time of reminiscence. September 7 also marked Clark’s first ever “first day of school” 20 years ago (though the actual opening of school was Sept. 8, 1998.). Mr. Kursinski helping organize the seniors during the panorama.